Alu AC Inline and bevel helical gear reducers, parallel shaft speed reducers, and worm gear boxes with AC motor. The range is built in aluminium and covers torques up to 1000 Nm. 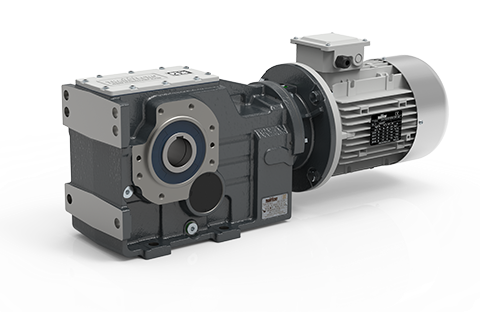 CMG series of helical inline gearboxes and AC motors; the helical gearboxes belong to the ALU range, read about all the features. - Power 0.06 – 4 Kw. - Normal Torque 40 – 500 Nm. CMB series aluminium helical bevel gearboxes, high performance and quality, download the catalogue of helical bevel gearmotors belonging to the ALU range. The high degree of modularity of CMB helical bevel gearmotors allows it to be completely interchangeable with CM wormgearboxes. -Power 0.09 – 1.5 Kw. -Normal Torque 200 - 600 Nm. 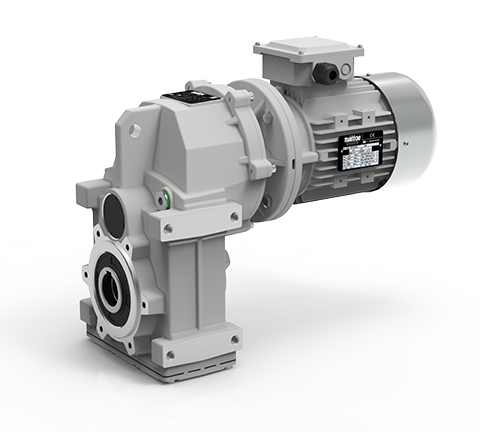 ATS series parallel shaft helical gearboxes, like all Transtecno’s gearmotors, are modular and have high technical standards; here are all the features. - Power 0.12 – 4.0 Kw. - Normal Torque 200 - 600 Nm. CM series wormgearboxes, on this page you’ll find all the wormgearbox features, catalogue, 3D drawings and configuration tools. - Power 0.06 – 7.5 Kw. - Normal Torque 15 - 1050 Nm. 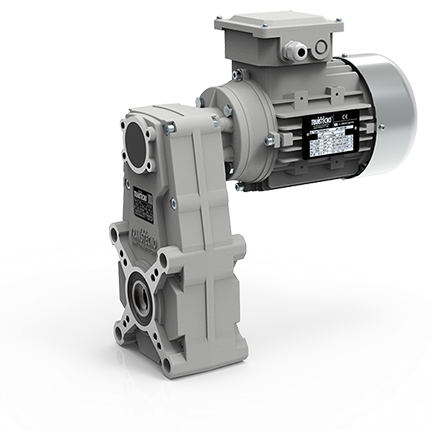 Wormgearboxes from the CM series and AC electric motors are used to make these gearmotors. The CM is one of Transtecno’s most widespread gearboxes and is available in 10 sizes, from CM026 to CM130, made extremely versatile using different input and output kits for wormgearboxes. The technical characteristics are shown below, and it is also possible to download the catalogue of wormgearboxes and to consult the 2D -3D models from this range. The form to ask for information can be completed in just a few seconds and is found at the bottom of the page. CMP series wormgearboxes with pre-stage, excellent solution for many applications; download the catalogue and 3D drawings for these gearboxes. - Normal Torque 16 - 1024 Nm. 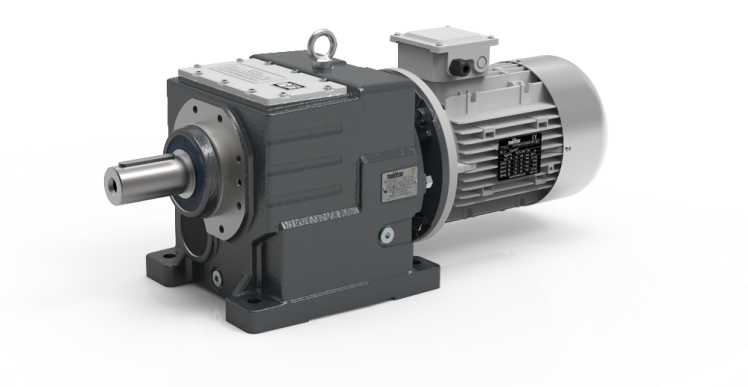 The Pre-stage wormgearboxes from the CMP series consist of a wormgearbox and an AC motor, with pre-stage between them with a unique gear ratio of i=3. Some characteristics of the pre-stage include ground gears with low noise level, compact design, and lifelong lubrication. The pre-stage has a single output bearing and therefore, it can only be used between the motor and the gearbox. 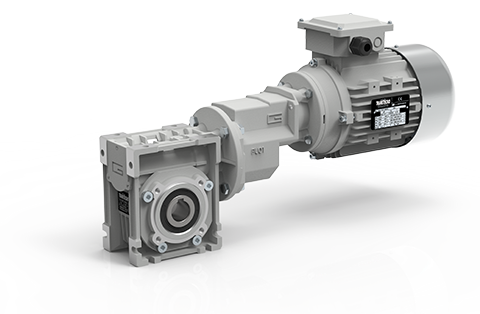 Double reduction worm gearboxes, the catalogue, configurators, 3D drawings; the technical features of these quality gearboxes. - Power 0.06 – 1.85 Kw. - Normal Torque 18 – 2450 Nm. The Double Reduction Wormgearboxes from the CMM series combine two wormgears and an AC motor, for wormgearmotors with a high torque level. 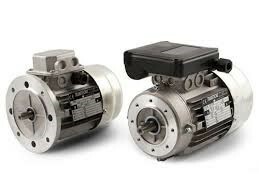 The technical characteristics of this gearmotor unit. PU single stage helical inline gearboxes, download here the catalogue dedicated to this Transtecno product. - Power 0.18 – 1.1 Kw. - Normal Torque 7 - 40 Nm. CMPU series worm gearboxes with pre-stage, worm gear coupled with the PU single-stage gearbox, here’s the catalogue. - Normal Torque 31 - 1049 Nm. 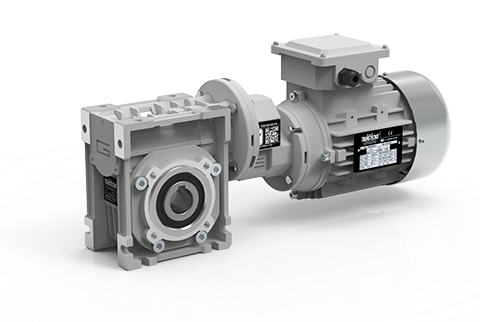 Pre-stage wormgearboxes from the CMPU series are made using a wormgearbox from the CM series, and a PU single-stage gearbox. The PU and the CM wormgearbox mesh perfectly together. Here are the technical features of this gearbox. 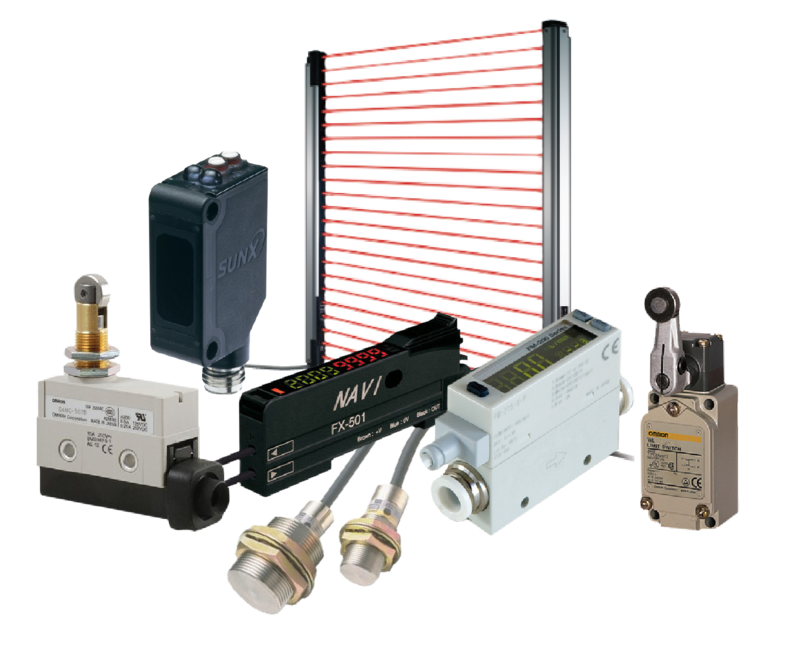 VAM mechanical variator range has the following main features. - Power 0.18 – 4 Kw. - Reducer speed 1000- 200 Rpm. - Normal Torque 2 - 65 Nm. The VAM series Transtecno is a valid alternative to electronic drives and is easy to use and maintain. The low-cost, light weight Vam versions in aluminium are available in sizes 018, 037 and 075.Cast iron 15, 22 and 40. Die-cast aluminum housing on sizes 018, 037 and 075 : cast iron housing on size 15, 22 and 40. Continuous CW and CCW rotation, synchronous input and output movement. The variators are filled with lubrication oil in the factory. After a running-in of opproximately 100 hours, the oil must be changed; The subsequent changes can be done with intervals of roughly 1000-functioning hours. Mounting position B3 (Option) on request. TS-MY Induction motor aluminum casting B5 and B14 for combine with gearbox from Transtecno. - Power 0.09 – 7.5 Kw. - Input 220 V. ;230/400 V. ; 400/660 V.
● Ambient temperature: -20 °C ÷ +40 °C, without condensing. ● MY series motors have a large terminal box, which includes the run capacitor, protecting it from the external environment. 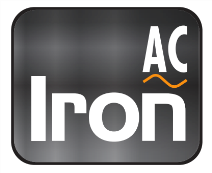 AC Iron The IRON range includes ITH inline speed reducers, ITB bevel helical gear reducers and ITS parallel shaft gear reducers. The range is all built in ultra-strong cast iron, for torque levels up to 3500 Nm. Helical inline gearboxes with cast iron housing designed for industrial applications with high loads; the catalogue of ITH cast iron coaxial gearboxes. - Power 0.25 - 30 Kw. - Normal Torque 350 - 3500 Nm. 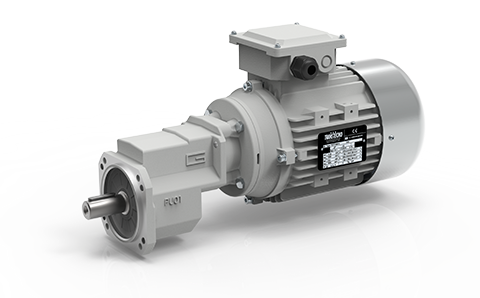 The ITH gear motors are for industrial applications with particularly heavy loads. Their robust cast iron housings and highly modular different input and output kits mean they are suited to all types of application. The ITH helical gear reducer series consists of 4 sizes: ITH 112/3 – ITH 122/3 – ITH 132/3 – ITH 142/3. Transmittable torques are: 700 Nm, 1000 Nm, 1800 Nm and 3500 Nm, respectively. Helical bevel gearboxes with cast iron housing and modularity typical of TRANSTECNO gearboxes; 3 sizes up to 3500 Nm, the ITB cast iron helical bevel gearbox catalogue. - Power 0.55 - 22 Kw. - Normal Torque 500 - 3500 Nm. 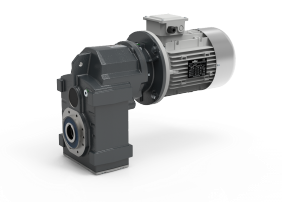 The bevel helical gearboxes from the ITB series are specifically for heavy-duty industrial applications. 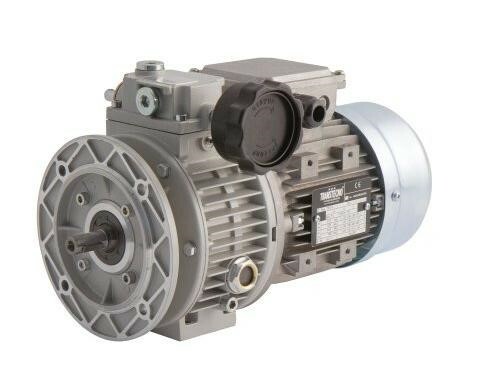 The robust construction using a cast iron carcase, combined with the high degree of modularity from the different input and output kits, make these motors perfect for all types of application. This gearbox is an integral part of the IRON range that together with the ITH and ITS series, complete the cast iron offer from Transtecno. 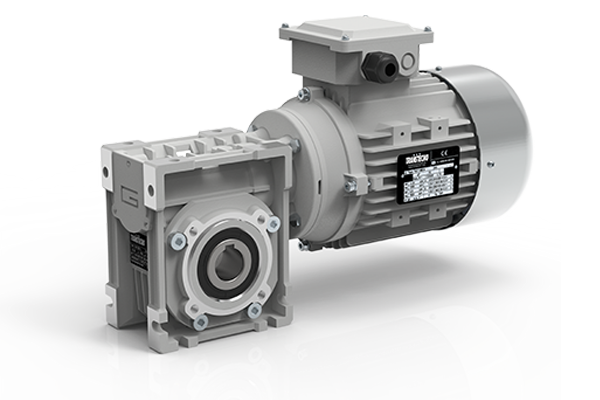 The ITB bevel helical gearbox series includes 3 sizes: ITB 423 – ITB 433 – ITB 443. The torques are 950 Nm, 1800 Nm, and 3500 Nm respectively. 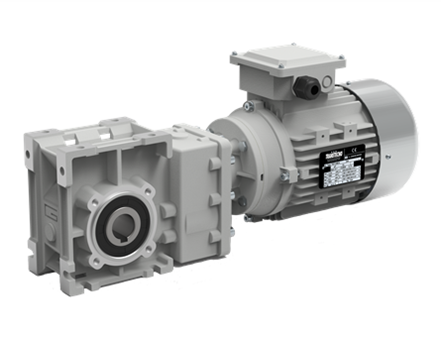 Helical parallel gearboxes with two types of cast iron frame, universal or pendant; 3 sizes of gearbox, up to 3200 Nm, download the ITS cast iron helical parallel gearbox catalogue here. - Power 0.25 - 22 Kw. - Normal Torque 500 - 3200 Nm. 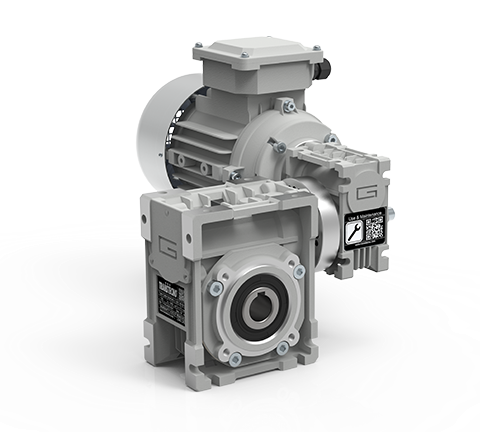 The cast iron helical parallel gearboxes from the ITS series are specifically for heavy-duty industrial applications. The robust construction using a cast iron carcase, combined with the high degree of modularity from the different input and output kits, make these motors perfect for all types of application. 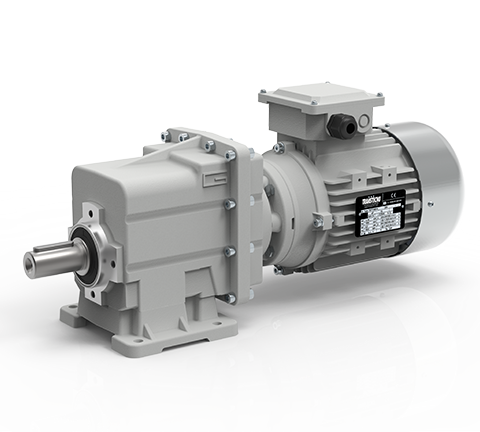 The series of ITS helical parallel gearboxes are made with two type of carcase – universal, with feet and flat side flange on one side only, or pendant, without feet and side flat flange on one side only.